Use eye bolts with larger ply bulkheads when making bulkhead sections. 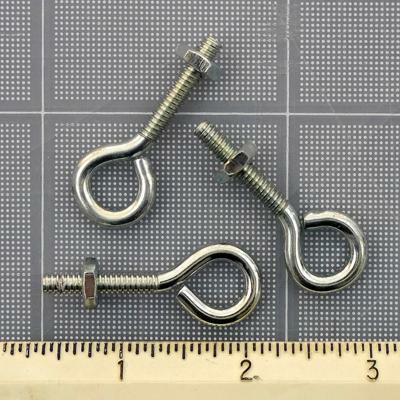 Small size eye bolt is 1 3/4" overall in length with a thread length of 7/8". ID of the eye is 3/8". Approximate weight is 8.3 grams. Zinc chromate finish with provided hex nut.